Digital has had an undeniable impact on multi-location businesses this year. In fact, approximately 56 percent of in-store sales were influenced by online marketing last year. So, which platform, content, device, and search trends are worth following this year? MDG’s new infographic, reveals which tactics and strategies will bring your organization success. The infographic explores the importance of optimizing for location, including the rise of “Open Now” in search. In addition to adding key phrases to website content, marketers can utilize social media tools like Google My Business and Facebook Pages to reach a wider audience. Marketers can use these sophisticated apps to add reviews, photos, text, and business details. Experimenting with content length also will be important for marketers looking to expand digital reach. In most cases, how long your content is will depend on the type and platform. Videos on YouTube or Instagram tend to be shorter while blog posts on social sharing sites can be longer. Lastly, voice-based digital devices are changing the way audiences interact with brands. It’s estimated that the number of smart speakers will rise to 21.4 million by 2020. Plus, voice search is already prominent on smartphones, making it essential to adopt natural, conversational keywords. 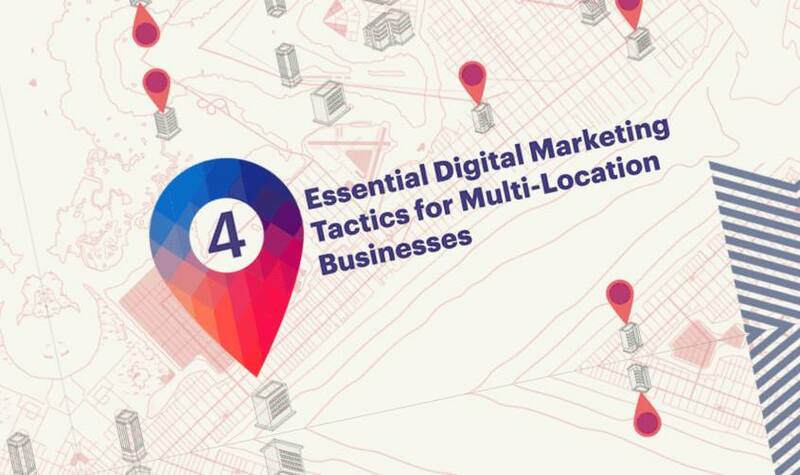 Ultimately, multi-location businesses should adopt several tactics at once to supercharge their marketing efforts. Localizing your search strategy and improving the content on your website and social media pages will help you find success in the coming year. Learn more about these top digital trends by checking out the full infographic below.